Welcome to the 680th Edition of my series. I hope everyone had a good Thanksgiving however celebrated and those that went out on Black Friday stayed safe. I had a pretty good week on Thanksgiving. Nothing else really going on so I'll just get on with my selections for the week. Music Instinct: Science and Song (2009): I start the week out with this PBS documentary which was directed by Elena Mannes. Audra McDonald narrates this documentary which takes a look at the studies of how music moves the human organism. 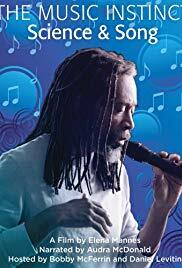 Musicians Bobby McFerrin, Yo-Yo-Ma, and Jarvis Cocker contribute and help in the findings as well as many research experts in the field. There is not much more I can do to describe this film. It is a pretty fascinating look on the correlation of music and science. Won't Back Down (2012): This is part one of a possible Holly Hunter trilogy. Daniel Barnz directed and co-wrote this film on the flaws on an inner-city school. 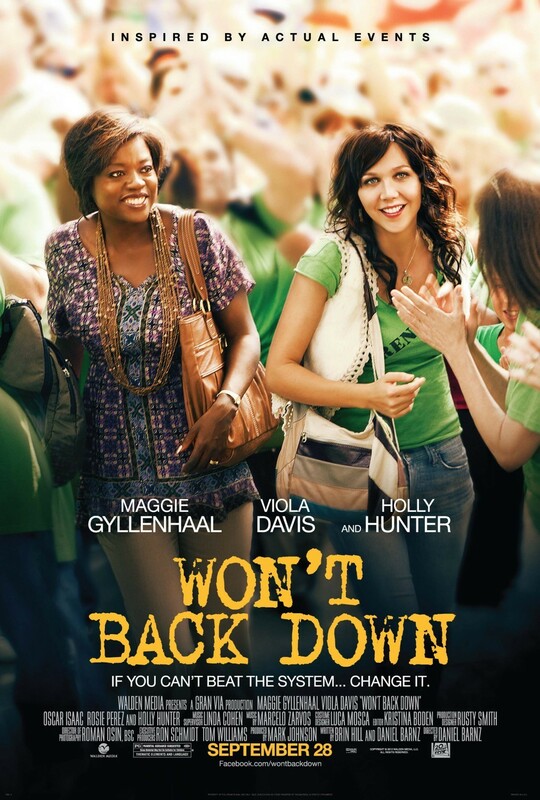 Maggie Gyllenhaal stars as single mother Jamie whose daughter Malia, played by Emily Alyn Lind, is struggling in school and feels they are not making any efforts to make things better. She sees the one caring teacher is Nona, played by Viola Davis, and enlists her help to start a school of her own while Nona has a son with his own problems. Hunter, Oscar Isaac, Rosie Perez, Dante Brown, Lance Reddick, Ving Rhames, Bill Nunn, Ned Eisenberg, Marianne Jean-Baptiste, and many others co-star. 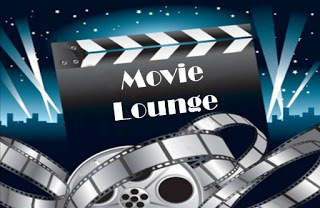 There is not really any suspense in this movie and is quite predictable which is to be expected. It is a very inspirational movie of people coming together to overcome a flawed system. It also takes a good look at the common issue of dyslexia that children have and the dealing or lack thereof on it. 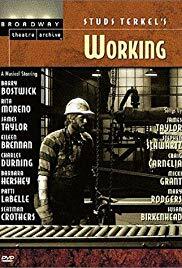 Working (1982): Technically, this is an episode of the tv series AMERICAN PLAYHOUSE but I make the rules on the blog and get to decide if it qualifies as a movie. Kirk Browning and Steven Schwartz directed this musical which Schwartz wrote the music for and based on the novel by Studs Terkel who is also in the movie as the host. This takes a look at the working class people of America and their feelings toward their profession as well as one that is a housewife. This has quite the all-star cast in Barry Bostwick, Scatman Crothers, Vernee Watson, Billy Jayne, Barbara Barrie, Charles Haid, Beth Howland, Barbara Hershey, Eileen Brennan, Rita Moreno, James Taylor, Lynne Thigpen, Edie McClurg, Didi Conn, Charles Durning, Matt Landers, Patti Labelle, Mark Neely, David Patrick Kelly, and many others co-star in this musical. This does not have a linear plot but it was still enjoyable to see the various characters and how they felt about their professions some surprising on liking and disliking what they do. There are also some good musical numbers, most notably the song FATHERS AND SONS. This is one of my Dad's favorites and this is a musical I would like to be in someday. 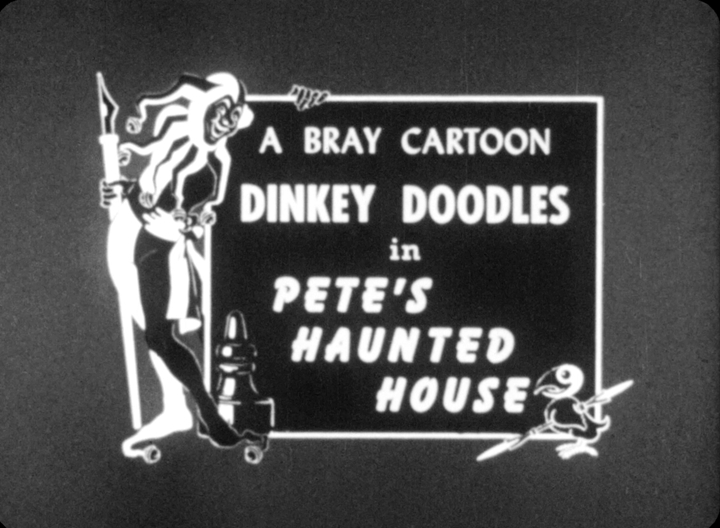 Pete's Haunted House (1926): This is an early animation short that combines animation and live action. Walter Lentz created this cartoon which features Pete the Pup and Lentz is also in the short. Lentz decides to play some Halloween pranks on Pete but proves to hold his own against his animator. I have watched a few of these lately and this is the first I have seen the characters interact. This is available to watch on Filmstruck until they shut down the services this week on the 29th. 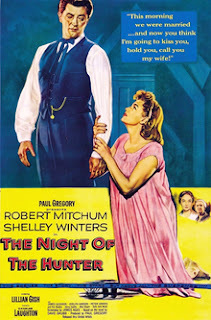 The Night of the Hunter (1955): This is part two of a possible Robert Mitchum trilogy. Charles Laughton directed his first and only film which is based on the novel by Davis Grubb. Mitchum stars in his rather iconic role of Harry Powell who claims to be a man of god but is really very evil. He marries gullible widow Willa, played by Shelley Winters, whose children John and Pearl, played by Billy Chapin and Sally Jane Bruce, possess $10,000 that Harry is aware of and does what he can to get the money. Silent film legend Lillian Gish co-stars in this film as Rachel Cooper who the children turn to for refuge and does what she can to protect them. James Gleason, Evelyn Varden, Peter Graves, Don Beddoe, and Gloria Castillo co-star in this film. This was a very daring film for this era and Laughton originally offered the role to Gary Cooper who would decline fearing it would be detrimental to his career. For those that know Winters for her sleazy mother roles should check this out as she is far more reserved but does a great job. This is available to watch on Filmstruck until it shuts down on Thursday. 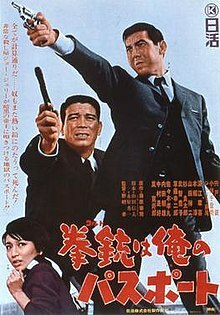 A Colt is my Passport (1967): This is my Japanese film for the week which was directed by Takashi Nomura and based on a novel by Shinji Fujiwara. Jo Shishido stars as hitman Kamimura who is hired to kill a mob boss and when doing so puts him and his driver Shun wanted by rival gang members. Kamimura does what he can to keep himself and his driver alive. This is many ways reminded me of a western, most notably a spaghetti western. This starts with the music score sounding like something that Ennio Morricone would have written and the vendetta from the protagonist kind of resembles someone from a western. The climax is what really made me see this as a western but is instead a Japanese crime film. 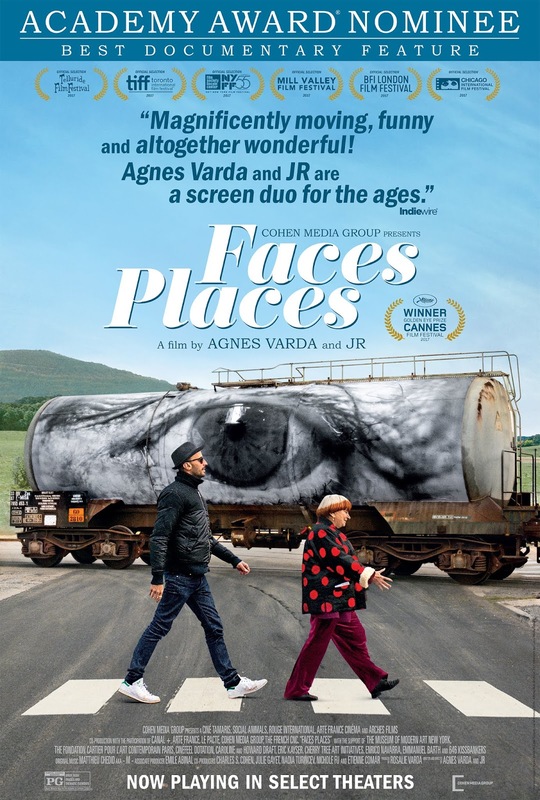 I was at my dad's house when watching this and he joined me about half-way and seemed to enjoy it even though he's not much for foreign language films. This is also available to watch on Filmstruck. 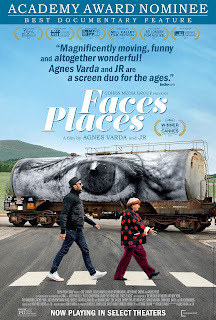 Faces Places (2017): This is my second documentary for the week which was done by the team of director Agnes Varda and photographer JR. They journey around France on a special art project where they take photographs of everyday people then posting them as murals in their local towns. What sticks out the most though is the friendship of the duo who are close friends despite being very different people. This is available to watch on Netflix. Curse of Frankenstein (1957): This is my favorite entry of the Hammer Films and my favorite adaptation on the classic Mary Shelley novel. Terence Fisher directed this film and Peter Cushing stars as Dr. Victor Frankenstein who decides to create a man using body parts he acquires. When he is able to create this life, things do not go nearly as planned and a lot of tragedy happens. Christopher Lee co-stars as the creature and is his only portrayal of the Creature of Frankenstein as far as I know. Robert Urquhart stars as Paul who is a partner to Victor and begins to become concerned for the safety of his fiancee Elizabeth, played by Hazel Court. I feel Cushing played the best Victor Frankenstein in film. 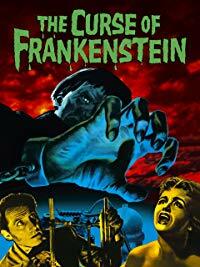 I have always enjoyed the story of Frankenstein and I liked that his had a more creepy feel to it than others. I had the pleasure to be in a theatrical version of Frankenstein and is one of my favorite things that I have done. This is also available to watch on Filmstruck. The Cow (1969): This is my Iranian film for the week which was inspired by last week's feature THE SALESMAN which features a clip of this movie. Dariush Mehrjui directed this film that takes place in a small and desolate village where a man named Masht owns a cow and is very attached to it. When he has to go away, his cow dies unexpectedly making the other villagers fear telling him so they tell him his cow ran away. Masht does not believe this and grieves by slowly starting to act like the cow. 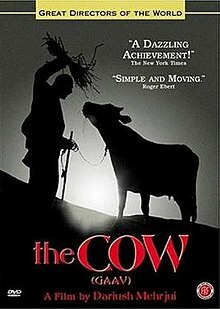 While this may seem absurd, this is a pretty moving film and many in those countries consider the cow to be sacred. Unfortunately this does not appear to be easy to find except for a copy on Youtube that is hit or miss. I found this is available with a service called Fandor which requires a subscription but might consider it. 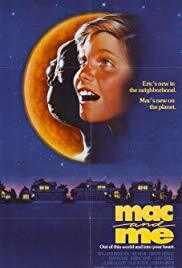 Mac and Me (1988): This is the first episode of the new MST3K season that started on Thanksgiving so I decided to end the week with this E.T. ripoff. A little E.T. like alien escapes from NASA but gets separated from his family and friends a wheelchair bound boy named Eric, played by Jade Calegory. The look of the aliens was very laughable and has interesting early product placement most notably by McDonalds and Coca-Cola. The aliens seem to really thrive on Coke and wondered sometimes what would happen if they drank Pepsi. While a bad movie, this has attained a cult status and got picked up by MST3K as the first episode in their new season which is available to watch on Netflix. Well, that is it for this week. 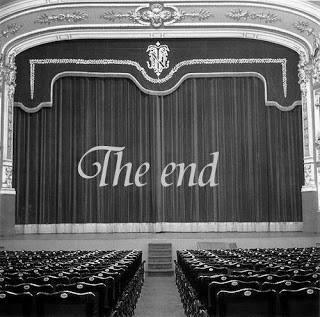 Stay tuned for next week which so far includes Mickey Rourke, Andy Serkis, and many others.